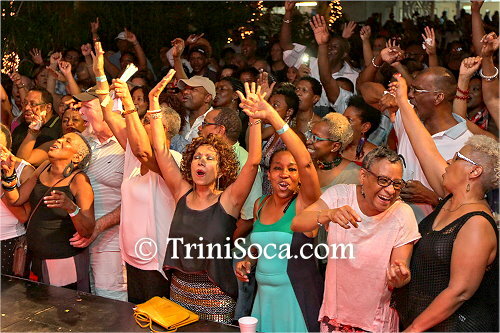 On Saturday 9th January, 2016, a huge gathering of loyal supporters of the band formerly known as Charlie’s Roots and the Rapso band 3Canal joined Soca music giant, Pelham Goddard and Roots, in celebrating their fortieth anniversary in the music business. This event, themed “Roots at Forty: Their Carnival Story” was produced by JVMP (Junior, Vonrick, Malcolm, Pelham) Promotions in collaboration with Hotel Normandie. 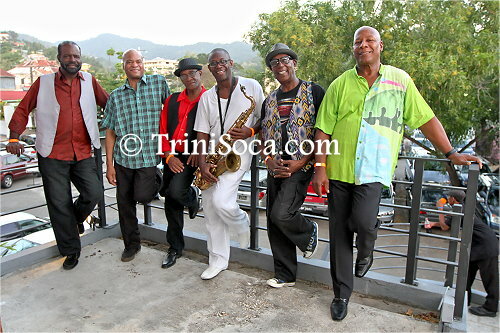 It was held Under the Trees at Hotel Normandie, St. Ann’s Port of Spain, from 5:30 p.m. to 11 p.m. The artistes featured included David Michael Rudder, Roger George, 3Canal, Moricia Cagan and Nigel O’Connor. Today Goddard is recognized as one of the best arrangers, producers and composers in the music industry. His arrangements have produced some of the most memorable hits by calypso and soca bards such as Cecil ‘Maestro’ Hume, MacArthur ‘Calypso Rose’ Lewis, Francine ‘Singing Francine’ Edwards, Austin ‘Blue Boy’ Lyons (now ‘Superblue’), David Michael Rudder and Christopher ‘Tambu’ Herbert. 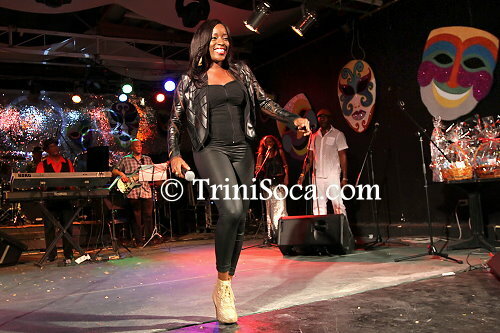 At 7 p.m., the show started off with lead vocalist Moricia Cagan who came on stage with a burst of energy. Cagan, who is known for her powerful vocal range, masterfully delivered classic hit songs by Calypso Rose setting the tone for the evening. Her set included, “Action is Tight”, “Her Majesty”, “Hold, I Say”, “More Tempo” and “Come leh we Jam”. Nigel O’Connor, also frontline vocalist was next and kept the tempo going with Blue Boy’s “Ethel” and “Soca Baptist” and Tambu’s “Journey” and “Yes Darling”. Following O’Connor’s performance were Rapso icons, Roger Roberts, Wendell Manwarren and Stanton Kewley, also known as 3Canal. 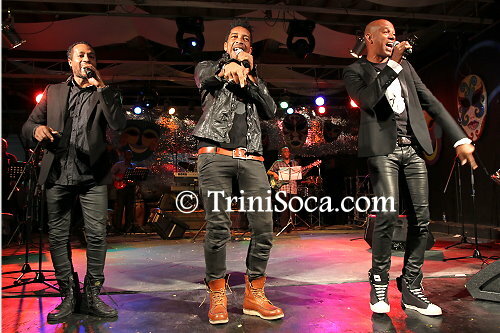 They sang their hit songs, “Carnival”, “Good News”, “Good Morning Neighbour”, “Blue” and “Talk Yuh Talk”. 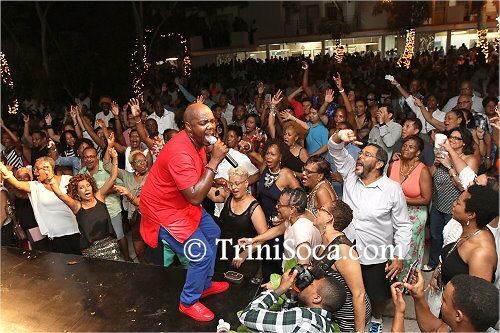 Roger George soon followed belting out Road March hits by Christopher ‘Tambu’ Herbert which included, the 1988 classic “This Party Is It”, the 1990 hit “No, No We Eh Going Home” and the 1989 sensation “Free up”. 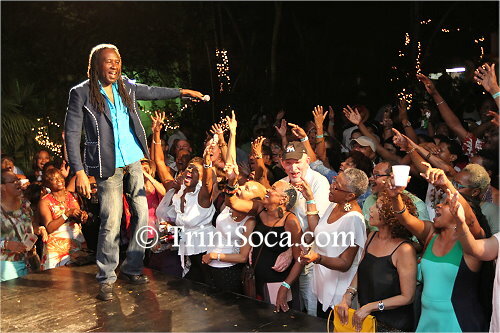 David Rudder closed the programme with a high-energy performance that began with “Permission To Mash Up De Place” followed by a slew of his past hits which included “Jump up”, “Bahia Girl”, “Hammer”, “Calypso Music”, “Trini Prance”, “Dust in dey Face”, “Panama”, “Bacchanal Lady” and “Calabash”. 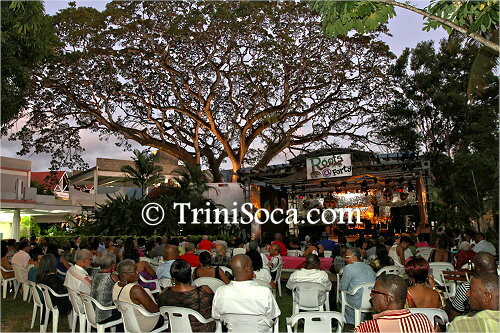 Roots at Forty was professionally organized with top class music and a stellar cast of performances. It was indeed a nostalgic musical journey which was appreciated by those in attendance who were on their feet dancing, clapping and singing along throughout the show.